The 28/15 cast in channel has welded anchors for casting in complete with an infill to prevent the ingress of concrete and can also be supplied as a surface fix channel. 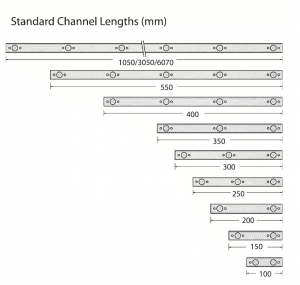 The channel is available in standard 3 metre lengths but can also be supplied in lengths to suit customers’ requirements. When used with the below ties, the 28/15 channel achieves a safe working load of 1.5kN in both tension and compression. When used with M10 T head bolts, the safe working load is 3.5kN in tension and 4.5kN in shear. 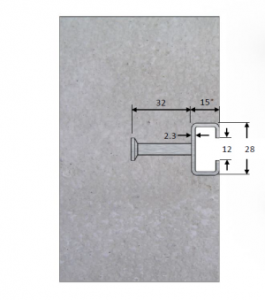 Working loads stated are based on concrete with a minimum strength of 30 N/mm2. The fixing used should be placed a minimum of 50mm from the end of the channel.